In the current work, photogeneration in a vertically oriented standalone Si-nanowire metal-oxide-semiconductor (MOS) capacitor has been investigated by developing a theoretical model that incorporates phase-breaking phenomena such as electron-photon interaction. For this purpose, a set of quantum field equations associated with second quantization electron and photon field operators have been solved through non-equilibrium Green’s function (NEGF) formalism by achieving self-consistency with Poisson’s equation. The obtained photocapacitance profile shows sharp peaks at specific wavelengths, detected by their relevant diameter-voltage combinations in the near-infrared region. Such peaks are observed to be shifted towards shorter wavelengths with increasing the applied voltage. 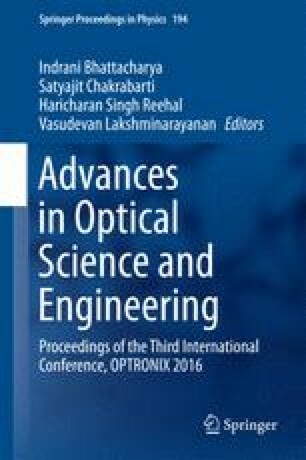 Thus, the proposed device scheme can contribute significantly to wavelength selective photosensing applications with high selectivity. The authors would like to acknowledge the Centre of Excellence (COE) for the Systems Biology and Biomedical Engineering, University of Calcutta, funded by the World Bank through TEQIP Phase II for providing the necessary infrastructural support.